« Should iPods Carry Warning Labels? 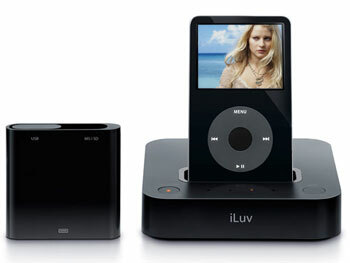 iLuv has introduced a new device, the iLuv i182, that is designed to make capturing video for playing on an iPod easy. Videos can be captured manually or in increments of 30, 60, 120, or 180 minutes with resolution as high as 640 x 480, 2.5 Mbps. The dock connects to any source with an S-video port and records video directly to the iPod‚Äôs hard drive. You can also save content to an attachable SD and MemoryStick card reader. The i182 sells for $229. More information is available at the iLuv site.